In the Content Library, right click in your department's content category folder and select New Content in this Category 'Category Name'. Wayfinding Properties opens. Enter a Name. 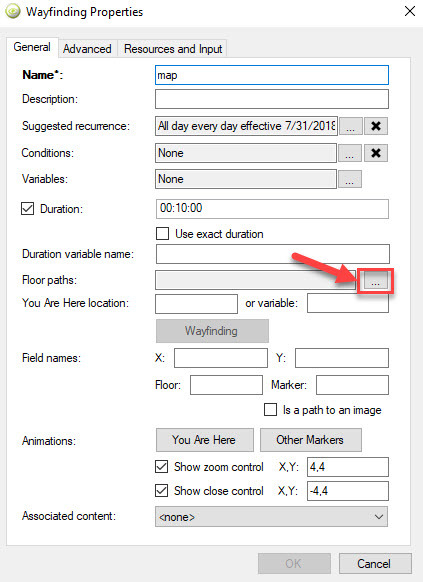 Go to Floor Paths: and click on the ellipsis button. Dynamic URL will open. Click on the ellipsis to add the map. Floor Paths opens. Click Add to add a map. You may add multiple maps if you have multiple floors. 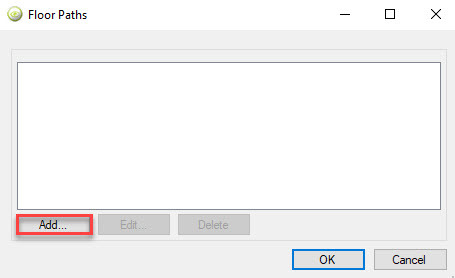 Click OK when finished. 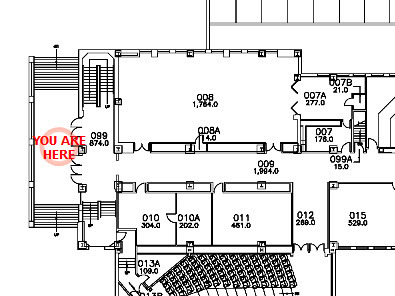 Note: If you have multiple floors, add your maps in order of lowest floor to highest floor. After adding the maps, create the You Are Here beacon. 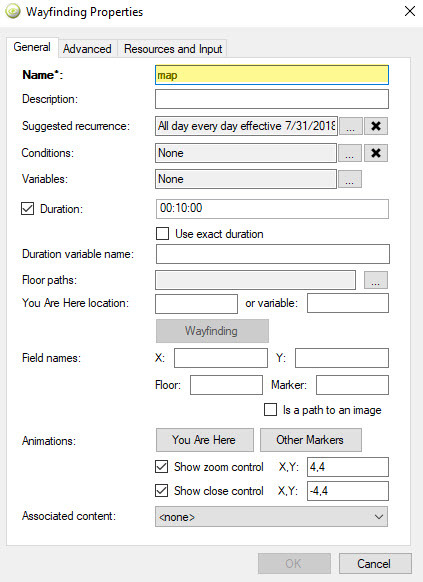 Click Wayfinding on the Properties page. 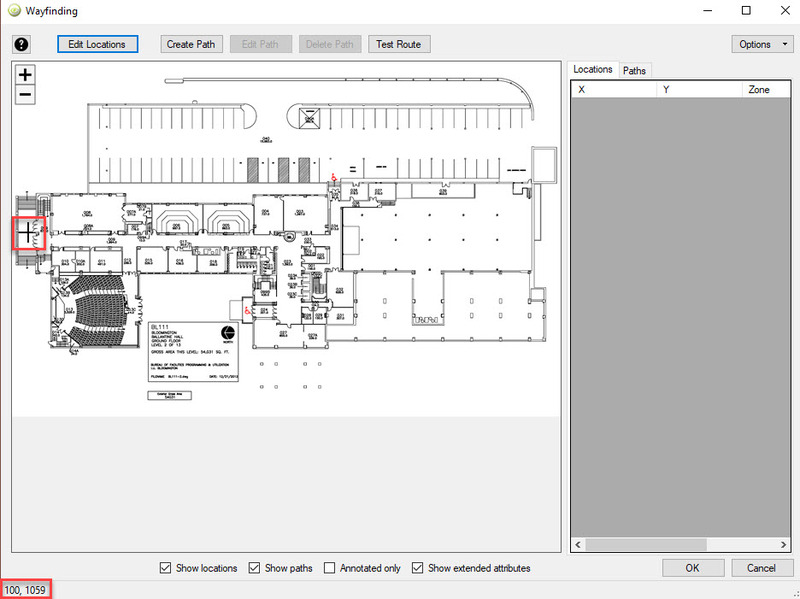 On the floor map, move the crosshairs to the location where you want the You Are Here beacon to display. On the bottom left-hand corner of the map, copy the coordinates of the location. 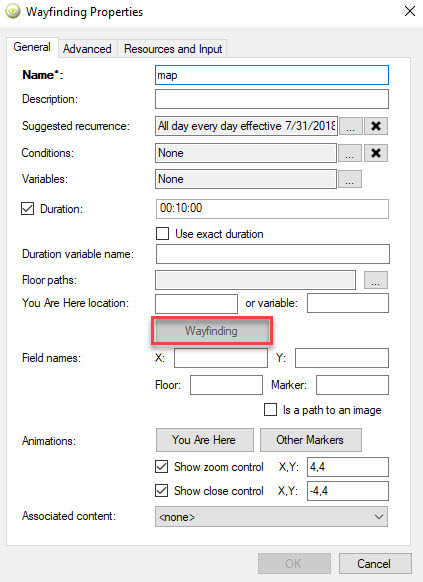 Click OK to close the wayfinding map. 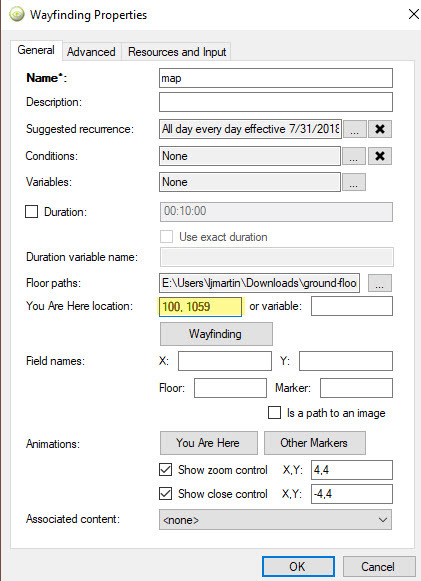 In Wayfinding Properties, go to the You Are Here Location: field and enter the coordinates from Step 7. To check the beacon, click Wayfinding. There should be an animated You Are Here beacon in the coordinates entered from the map.